SOLD OUT PNW shows September 28th & 29th with European dates to follow in November. 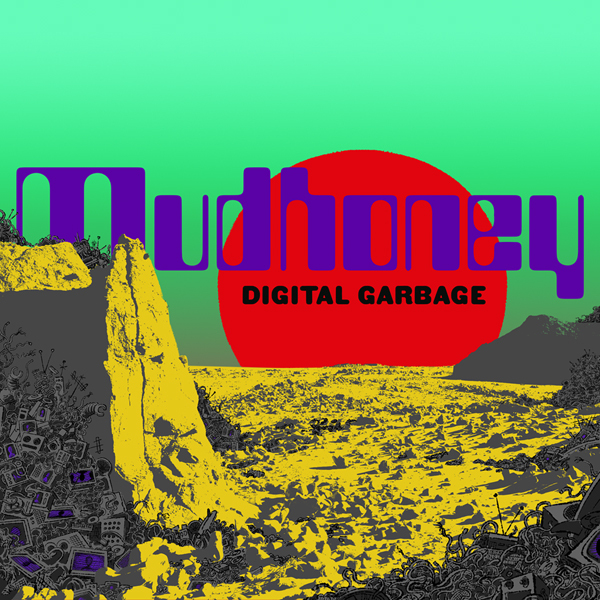 On September 28th, Sub Pop is excited to release the new Mudhoney album Digital Garbage, the band’s 10th full-length in 30 years. In the satirical new video for the Digital Garbage single, “Kill Yourself Live,” director Carlos A.F. Lopez presents a social media system update of Jesus Christ’s crucifixion. Mudhoney will play two SOLD OUT shows in September, on the 28th in Portland, OR and on the 29th in Seattle, WA, before heading to Europe Nov. 11th, for a 19-date European run, with a performance at this year’s Le Guess Who? festival in Utrecht Netherlands and club shows in Berlin, Frankfurt, Rome, Vienna, Paris, London, and Glasgow, among others. See below for a full list of shows. Pre-orders of the album are still available through megamart.subpop.com and select independent retailers. Purchasers will receive the limited Loser edition on seafoam green vinyl while supplies last. Dec. 01 - Glasgow, UK - Lukes Church !